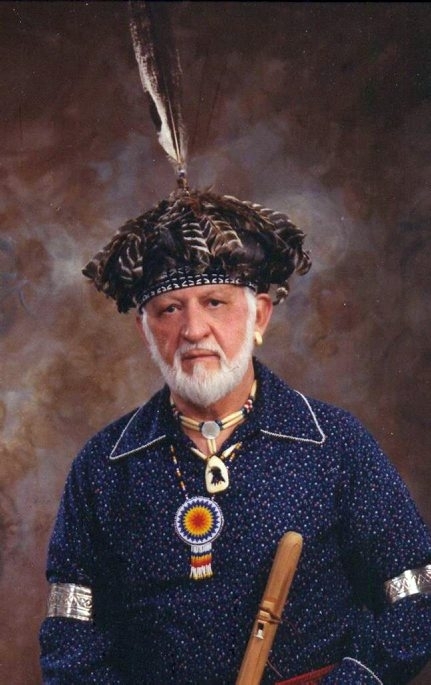 Robert C. Vester, a local educator who was active in Native American issues and was an adopted member of the Seneca Nation’s Hawk Clan, died Monday in Beechwood Continuing Care, Getzville, after a short illness. He was 89. A graduate of Bennett High School, Mr. Vester received his master’s degree from Buffalo State College and was a teacher in Clarence and New Berlin before becoming a principal and administrator for the Buffalo Public Schools. He helped begin the local Head Start program and the Native American curriculum in the city schools, and after his retirement he continued to present programs on Native Americans for many classes. Because of his interest and activism, Mr. Vester was adopted by the Hawk Clan of the Seneca Nation in 1972. Mr. Vester served in the U.S. Army during World War II, attaining the rank of corporal, and was a member of the Transportation Lodge, F&AM. An Eagle Scout, Mr. Vester later served as a camp counselor for Scouts. He also at one time was the New York State and Northeast Regional roller skating champion, and he enjoyed music and performing in local bands and musicals. Mr. Vester is survived by Bernabe Rivera, whom he raised. Services will be at 10 a.m. Saturday in Dietrich Funeral Home, 2480 Kensington Ave., Amherst.